Ottawa-based Nuvyyo unveiled its latest cord-cutting DVR called the Tablo Quad, a 4-tuner box that can record up to four over-the-air (OTA) TV channels simultaneously. 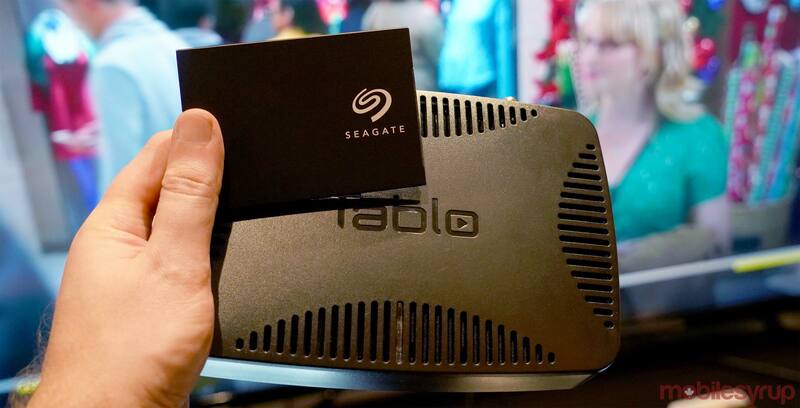 Cord-cutters in the know are likely aware of the Tablo product line, given that it caters almost exclusively to any consumer wanting DVR capability from free OTA channels. The Quad follows the same formula previous models have, except that it’s arguably more modular than others have been. For example, the 2.5-inch internal SATA drive is removable, maybe even swappable, depending on how you define it. It’s not hot-swappable, where you can just slide it out and slip in a new one on the fly. You do need to unscrew the compartment and plug it in to register on the Quad’s hardware. The drive is also formatted, so it would erase anything previously stored on it. This is exactly the same scenario with past Tablo boxes that used external hard drives plugged in via USB. The Quad does have one USB port in the rear for the same purpose, and you may need it because there’s no SATA drive pre-installed. If you want to slot one in, the box can handle up to 8TB drives. Nuvyyo says that would good for storing up to 4,000 hours or 166 straight days of HD recording. The box itself is larger than the Dual, the last device Tablo launched. It has a faster Gigabit Ethernet port in the rear, along with support for Wireless-AC (802.11ac) Wi-Fi. As with other Tablo units, this one doesn’t need to be connected, or even near a TV. 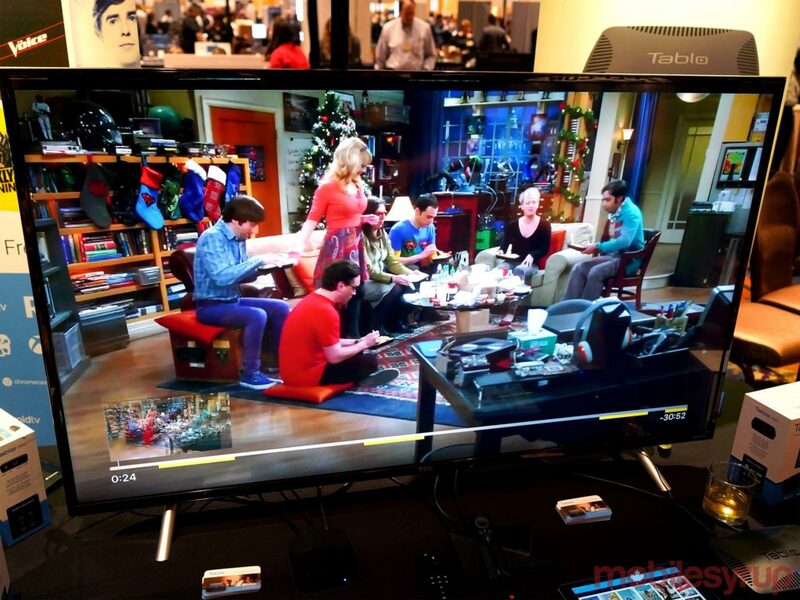 You connect a digital antenna to the coaxial input in the back, and it pulls in the OTA channels, where you can then stream them directly to a mobile device, computer, game console, smart TV or supported streaming box. One of the problems with pulling in live channels this way is you record the commercials with the shows or movies you want. Though the Quad will already do this out of the box, Nuvyyo will release a firmware update that will apply to previous models, too. The software recognizes when commercials run — noted by yellow lines along the playback bar — and automatically removes them when you watch the recorded program afterward. It’s not perfect, but it did look good in the hands-on demo I saw. It still recorded the first half-second of a commercial but managed to remove everything else without losing any of the show once it went back.